As the search for more sustainable energy solutions continues, we’ve seen everything from used coffee beans to sewer fat as sources for green energy. Now, DB Export Brewtroleum is a biofuel made partly out of natural beer waste and it is available at Gull pumps across New Zealand. The biofuel is made by distilling the leftover yeast — produced during the brewing of DB — to create 95 percent pure ethanol. The result is a biofuel which produces less greenhouse gas emissions than regular petrol, and enables the brewery to reduce the waste created during the brewing process. 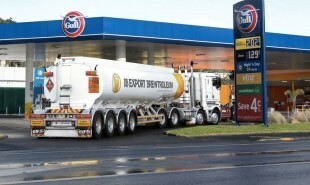 DB Export Brewtroleum is currently available at selected pumps throughout New Zealand through a partnership with Gull Service Stations. What material will be the next source of sustainable energy?